Months ahead of its official launch, Reliance Jio introduced ‘Preview Offer’ for everyone on purchasing a LYF-branded smartphone. The company bundled free Reliance Jio SIM card with unlimited high-speed downloads, unlimited voice and video calls, and also unlimited access to its range of content services. The offer with 90 days validity from date of activation was then expanded to 4G smartphones of Samsung, LG, Lava, and Micromax among others. Now, after the commercial launch on September 5, Reliance Jio has started migrating ‘Preview Offer’ users to ‘Welcome Offer’ which comes with capping on the amount of data one can download. The Preview Offer with 90 days validity offered users with virtually unlimited high-speed internet downloads without any data limits, whereas the Welcome Offer comes with a daily limit of 4GB, after which the speed will be cut down 128Kbps. The daily quota will get refreshed every day after midnight. 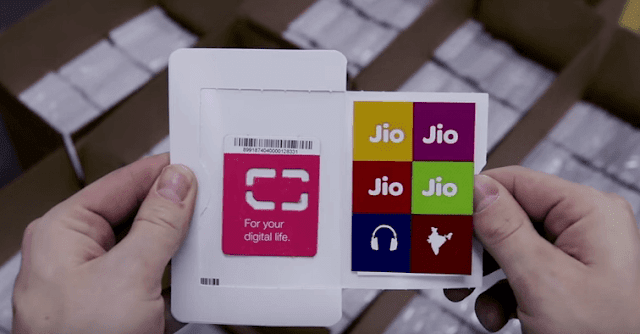 This sure may have disappointed a lot of users who got the Reliance Jio SIM card thinking that they will get 90 days unlimited access, but let’s also look at it from other way. The Welcome Offer comes with validity till December 31 2016, which is still over 100 days from now. In fact, if one had got the SIM card with Preview Offer in early July or August, the 90 days expiry date would fall somewhere around October end. So in a way, users get an extension till December 31 this year, albeit some restrictions. If we talk about the 4GB daily limit, users can still download 120GB per month. How to check if your Reliance Jio number is on Preview Offer or Welcome Offer? It’s very simple and there are two ways to find out. Firstly, you will get a message from Reliance Jio about the plan migration. Other way to check it is to open the MyJio app on your smartphone. Once logged in, you active plan will show up on the home screen mentioning the plan (Preview Offer), validity date and also the fact that its complimentary unlimited access. If it shows Welcome Offer, then you can no longer enjoy virtually unlimited downloads. We checked on our JioFi 2 portable MiFi device and the plan still shows Preview Offer with 90 days validity but that could be because it was bought recently and we haven’t completed 90 days. However, another Jio number of ours, which was bought with a LYF smartphone during the early days of the Preview Offer has been migrated to the Welcome Offer.